• Fairy-tales about Britain leaving the EU? On last week’s BBC Question Time UKIP’s deputy leader, Paul Nuttall, presented a fantasy vision of Britain outside the European Union. It was supposed to be his leader, Nigel Farage, to appear once again on the weekly discussion show, but apparently he got stuck in traffic (no doubt he’ll blame that on foreigners, or foreign cars, or an EU directive, or something). So, last week it was his deputy, Paul Nuttall, who appeared on Question Time instead. I want to pick up on four comments Mr Nuttall, a Member of the European Parliament, said in answers to questions from the audience last week. Well, UKIP may have a heart, but the thing is, they’re not in charge. Pre or post Brexit, they will still only have one Member of Parliament. Hardly enough to form a government, let alone to dictate what will happen if Britain leaves the EU. The former attorney general, Dominic Grieve, commented last year that if Britain leaves the EU, around two million Britons living in the rest of Europe would become “illegal immigrants overnight”. The fact is that nobody can really say, let alone promise, what will happen with the EU migrants living in Britain, and the British migrants living in the rest of the EU, if Brexit should happen. No EU member state has ever before left the EU, so it would be uncharted territory. 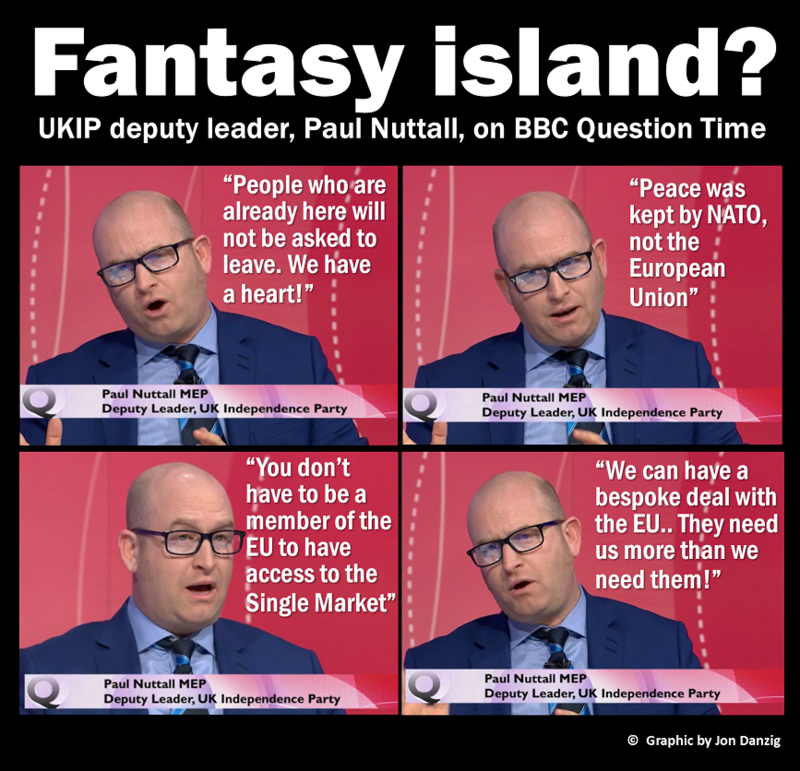 On ‘Question Time’ Mr Nuttall spoke as if his party would have a say in Britain’s Brexit terms if the referendum resulted in Britain’s departure from the European Union. But actually, he is in no position to promise anything. For sure NATO has helped to keep the peace from external threats. 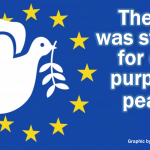 But peace among and between European nations came about primarily because of the European Union. Above all economic considerations, no countries during their membership of the European Union have warred with one another; we’ve found peace. That’s quite an achievement, I believe, when one considers that the planet’s only, and hopefully last, two world wars originated right here, in Europe. Winston Churchill, who is recognised as one of the founders of the European Union, passionately promoted the idea of a Union of the states of Europe as the antidote to war. Furthermore, not all EU member states are even members of NATO. Commented EU law expert, Professor Steve Peers, “The founders of the EU, when they signed the original Coal and Steel Community Treaty, said explicitly that their aim was to develop the EU in order to avoid wars between them. Well, of course, countries throughout the world trade with the European Union. The EU is the world’s biggest exporter, and the world’s biggest importer, of manufactured goods and services. But having full and complete free access to the lucrative internal market of the European Union – the world’s richest, biggest, most successful trading block – that’s a rather different matter. The EU is Britain’s single most important export market – that’s unlikely to change if Britain exits the EU. However, as a member of the EU, we have free access to the single internal market of Europe. That, according to many economists, is worth considerably more than our annual EU membership fee. It’s true that non-EU member, Norway (often referred to as ‘the Norway model’), has free access to the internal market of the EU, but in exchange, they have to make an annual contribution to the EU, and they have to accept all the rules of the Single Market. And yet they have no voting rights and very little say in those rules. Commented Professor Steve Peers this evening, “The EU has indeed been willing to let non-EU States sign up to the internal market, but in the form of the EEA treaty, which includes obligations to contribute to EU programmes, to apply many EU laws without having a say, and to accept the free movement of people, which UKIP dislikes. It’s a rather arrogant stance. After all, why would the other 27 members of the EU allow Britain to enjoy membership benefits without having to pay the EU annual membership fee, or agreeing to the rules of the Single Market? If that was to be permitted, the European Union may as well close shop tomorrow – and we all know that’s not going to happen. I have membership to a local gym, but I think it’s highly unlikely that they would let me continue attending if I stopped paying the monthly fee. Why should it be any different with the EU? Of the 28 EU members, only Britain is considering leaving. The other members obviously consider that the cost of EU membership is modest compared to the huge advantages. In other words, the benefits far outweigh the costs. 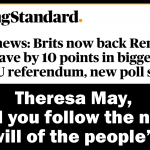 Also, if the other members of the European Union were so keen to keep us onside, why are they not agreeing to all of UK Prime Minister, David Cameron’s, reform agenda? Commented Professor Peers, “Critics of the EU say that it has offered us a poor renegotiation deal. If the EU were so desperate to retain trade with Britain, why wouldn’t it have offered us a fantastic deal to stay in the EU, and retain all that trade the easy way? He added, “The EU might well be willing to do a bespoke deal with the UK in the interests of trade, but it’s unrealistic to imagine that it will be anything like the fantasy deal which UKIP imagines: with full internal market access, no financial contribution, veto of all relevant EU legislation, and no free movement of people. In summary, UKIP seems to have a fantasy, fairy-tale vision of the deal that might be available to Britain if we vote to leave the European Union. But the most important point is that, whatever UKIP might wish or hope for, they don’t have any power to deliver. In my view, leaving the EU would be a walk into the dark. The ‘Leavers’ can’t agree on what deal might be available if we left. Even if they could agree, they can promise anything they like, but they can’t implement. 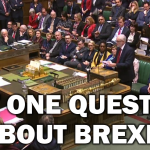 This entry was posted in Current Affairs, Democracy & Citizenship, Economics & Trade, Media & Communications, Politics & Public Policy, The EU and tagged brexit, European Union, Nato, Nigel Farage, Norway model, Paul Nuttall, Question Time, Single Market, UKIP. Bookmark the permalink. By including Churchill in this piece Jon you display a degree of ignorance or wishful thinking. This process would have to be based on reconciliation between France and Germany, who should assume leadership of the United States of Europe together. Churchill’s speech was published on the following day in every major European and US newspaper and commanded worldwide attention. It raised hopes on the European continent that a conservative British Government under Churchill’s leadership would be more inclined to make Great Britain part of the nascent European integration process than Clement Attlee’s Labour Government. The problem was that these hopes, which were to be frustrated when Churchill became Prime Minister again in 1951, were based on a profound misunderstanding of Churchill’s position. While he had advocated the idea of integration between the continental European states since the early 1930s, he was firmly convinced that Great Britain’s fate rested with another “natural grouping”: the Commonwealth of Nations. The best Churchill biography in my view was written by a very enthusiastic Europhile Roy Jenkins, he was very clear, a European Union was not something that Churchill ever considered Britain being a member of, and was resolutely against our membership. But Churchill changed his mind (as he was famous for doing) and endorsed Britain’s application in 1961 to join the EEC. Churchill is recognised as one of the founders of the European Union, something I have written about extensively. No Jon, again I am afraid you are incorrect. Churchill in a private letter to his Constituent Chairman endorsed the Government approaching the EEC only so that the terms of membership could be ascertained and reflected upon. The letter is very clear. In no way at all did he endorse actual membership. Indeed Field Marshall Montgomery who spent a lot of time with Churchill in the latter years of his life was unequivocable, Churchill was vehemently against Britain’s membership he remained convinced by an alliance of the English Speaking Peoples, as his 4 volume history on the subject suggests. As usual, we will have to agree to disagree. Churchill was a passionate proponent of a ‘United States of Europe’ and although I agree that he did not envisage Britain taking part in the early 1950s, it’s my belief that he later changed his mind. Churchill also promoted the European Convention and Court of Human Rights. That, and the Union of European nations were, in my belief, his greatest peacetime legacies. Oddly Jon, perhaps this time we can come close to agreement. I actually think that Churchill had he been a position to make the final decision would have pushed for our joining the European Economic Community, but I do so with certain provisions. First he was hopelessly addicted to international conferences, even during the war he was endlessly enthused by conferences, travelling to distant places and meeting with our axis partners for easons and end product that were vanishingly apparent. As in the latter days of his life it had become apparent that the world powers no longer credibly included Great Britain he would have been greatly tempted by the European Community. Secondly, the EEC was a valuable mechanism for removing trade barriers between nations, as a free trade advocate this would have had great appeal, though I think he would have fought far harder on behalf of our Commonwealth partners than either Heath, who didn’t, or Wilson who pretended to. Lastly, Churchill was not minded to spend a great deal of time studying legalise detail, the hidden messages, coupled with a Foreign Office that obfuscated issues concerning ultimate Sovereignty of Parliament would probably have eluded him, he enjoyed a big canvass for his big ideas not the confines of obscure Treaty contract. However, I am certain that had the European Union, not the EEC, been presented to him, with the loss of Parliamentary Sovereignty that it entails, he would have dismissed it out of hand. Even at the height of his power, with ultimate control at his disposal never seen before or since, he treated the House of Commons with total respect, he would have been appalled at the current state of affairs. Well, it’s good at last to see that we have a modicum of consensus on something! Notwithstanding what Churchill would have thought about the modern-day European Union (I have no idea, and don’t want to speculate) something we can say is that our Westminster Parliament approved each and every change to our membership of the EEC/EC/EU. Not once have any changes been forced through without the democratic consent of our Parliament. Indeed that is so, our sovereignty has been given away by our Parliament, or pooled as they preferred to represent it. However, it was never in our elected Parliaments gift to give away, this is why Wilson was forced by his Cabinet to hold a referendum over 40 years ago. 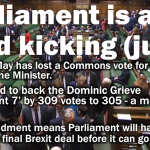 We now finally have in Law the right to vote as a Demos on any further Treaty Change, if we are foolish enough to decide to remain within the EU that is. In the event we do I can practically guarantee any Treaty Change will be rejected, as it is consistently when put to the people across Europe. And when that happens the EU will do as it always does, find a way of carrying on regardless by ignoring that decision. How long do you imagine that can carry on Jon, honestly? By granting us that right there has been an acceptance, reluctant though it was, that all previous loss of Sovereignty voted on through Parliament was theft of something that was only lent to them to protect. For many it is this, not immigration, and certainly not the ludicrous welfare blocks that are the issue. And it’s an issue that simply will not go away. Lets move on from Churchill Jon, and hopefully we can find a semblance of agreement here too. I live and run a business in the EU, so how would Brexit affect me? Here I think you make a valid point, as Brexit would be almost unique (Greenland aside) we have no prior rulings to advise us. However, as approximately 2 million EU citizens live in the UK and practically the same number of UK citizens are dispersed throughout the EU we can assume some things. Nobody would like to see 4 million Europeans uprooted from their jobs and homes and deported, regardless of how hurt the EU might feel at the rejection of the UK to political union. Such an upheaval would dwarf in terms of numbers the current migration crisis from the Middle East and Africa. So I hope we can agree that would not happen. Equally, I think we can agree that EU Nations would not feel happy paying welfare and social benefits to UK citizens residing in their countries but not working and contributing. As an example a large number of Brits live but don’t work in Berlin, but enjoy welfare there. I would expect the German government quite reasonably to ask them in a defined timeframe to find work, or leave. The UK Government, as another example, would look to the large number of Dutch citizens that live on welfare in the UK to do likewise, the majority of whom are of Somalian heritage. Many British citizens live in Spain, a fair percentage are retirees, and draw on UK state and private pension as an income, the tax on this income is often not paid through a mixture of incompetence and non compliance, both of these issues need to be strengthened. Health insurance, whether state provision or private would become mandatory, as it would in The UK for non UK citizens. The alternative for Spain here is unthinkable Jon, Spain has more empty or non completed homes than the USA, seeing a further huge amount of property suddenly put on the market as British wealthy pensioners are evicted would be disastrous, those pensioners also employ housekeepers, gardeners, pool maintenance companies, eat in restaurants and buy goods in shops, to be frank, Spain’s economy needs them. The same arguments are true in Portugal and France. Brexit would alter new immigration to the UK and conceivably UK immigrants to the EU, along the lines found elsewhere in the world, it would in other words be normalised.